A series of videos created by Grey Bruce youth who participated in Community Foundation Grey Bruce's Vital Conversations in November 2017. These videos give young people a chance to talk about local issues that matter to them. 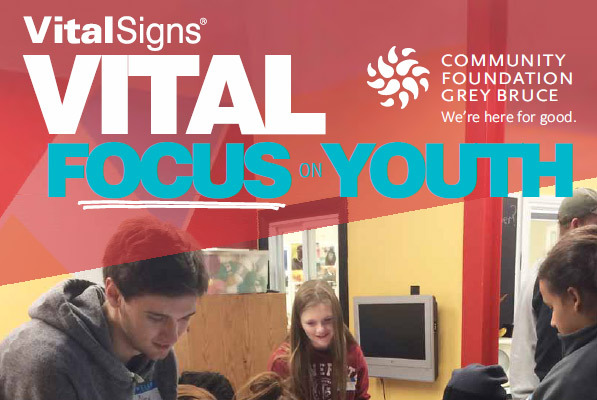 This is the final installment of the Vital Conversations with Youth video series. Thanks again to all the Grey Bruce youth who took part in the forums held last November & to those who helped script & record these messages. We hear many inspiring stories from individuals and organizations about successful outcomes as a result of a grant received from Community Foundation Grey Bruce. Today, we're happy to share a story about the Owen Sound Lacrosse Endowed Fund and how a few dedicated fans started a fund to support a great sport that inspires players to excel in their chosen field. The story reminds us, #YouMakeYourCommunity and we are all stronger together! If you would like to know more about setting up an endowed fund, give us a call! An over view of what the Community Foundation Grey Bruce is all about and what it does for the community. Updating display units at the artist-run Owen Sound Artist's Co-op provides more opportunities for both adult and youth area artists to display their work.